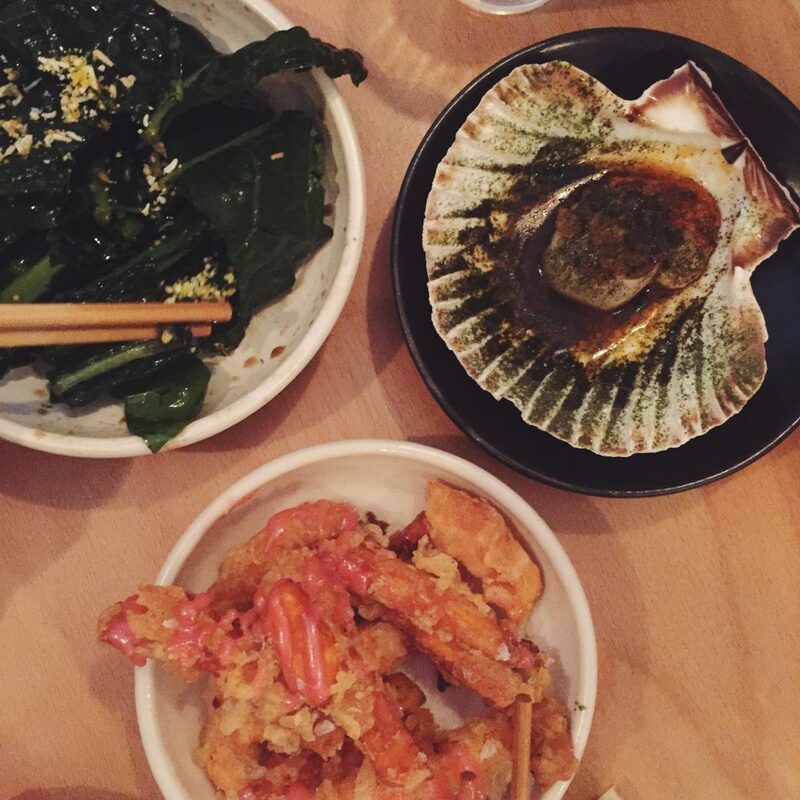 I haven’t published a ‘London Eats‘ post in a while, so thought it was about time I did so! A few weeks ago. Stew and I finally had the opportunity to try out Bao’s tasty menu. 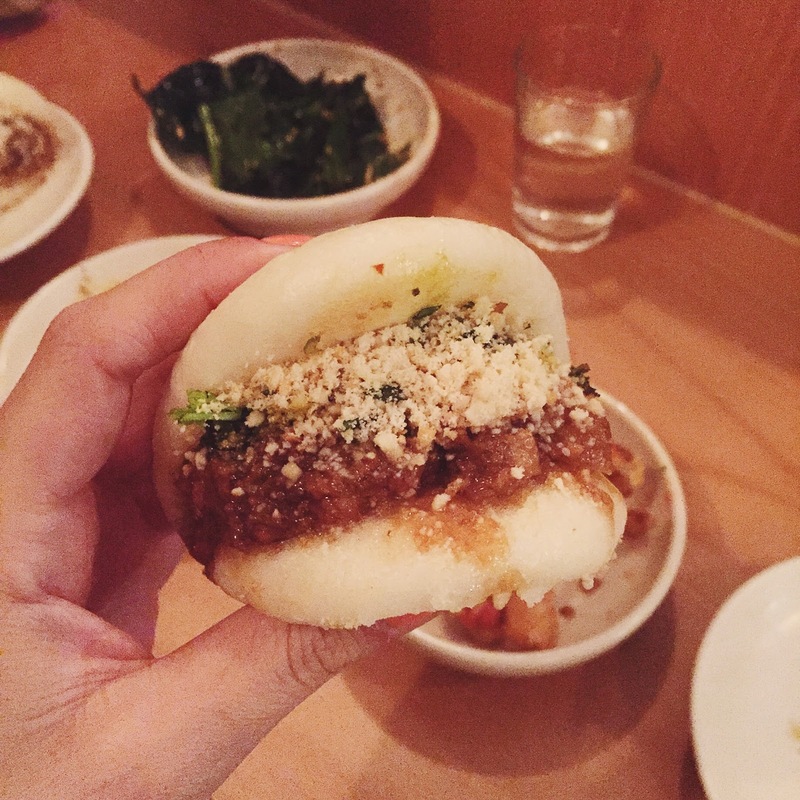 If you haven’t heard of Bao, well quite frankly where have you been? It’s one of London’s most popular restaurants, and has been voted in Time Out’s top 50 places to eat in London. It’s easy to see why it’s popularity has grown quickly. The food is amazing and it’s super affordable! Beginning as a small street food stall in Soho, Bao cooks up tasty Taiwanese snacks including (yes you guessed it) bao – steamed buns. Whilst these are clearly the star of the show, their menu also boasts many other incredible dishes. Each dish is small in size but packed full of flavour, and interesting ingredients. It’s kind of like tapas, perfect for sharing and trying a bit of everything. I started with their scallop in yellow bean garlic. I’ve had some pretty amazing scallops in my time, but I have to admit this was something else. It was so good I have made Stew swear we can go back! It was my favourite dish of the night. We also shared some sweet potato fries in a plum pickle salt, and Eryngii Mushroom, Century Egg. Now I’m still not sure exactly what this was (pictured below), but oh wow did it taste good. The greenery added a touch of veg to the otherwise quite meaty, carby meal, and the egg flavour (or whatever it was), was so good! It almost tasted like truffle. Very confusing but equally mind blowing. Now I’ve said the meal was mainly meat and carbs, but don’t mistake this in thinking it was a very stodgy, heavy meal. It was far from it! This was what I came away with liking the most about Bao. The dishes are small but perfectly formed. Each has just the write touch of seasoning, and whilst they leave you full, they don’t leave you feeling bloated like many rich foods can do. Price wise I think we spent about £20, excluding drinks. I’d say you need about 4 dishes pp, plus a couple of sides if you’re feeling really hungry. And please, if you go, try the fried horlicks ice-cream bao. I didn’t get to try it and I really really regret it! The waitress also told us if you get there at 11.45am ready for lunch to open at 12pm you should get seated immediately. That’s if you like a very very early lunch.